Home / Blog / What do I do if put the petrol in my diesel car? What do I do if put the petrol in my diesel car? June 16, 2016, 3 p.m. June 16, 2016, 3 p.m. Putting the wrong fuel in your car is easier to do than you might think, but what can you do about it? Starting your engine when you have put the wrong fuel in your vehicle will do a lot of damage to the engine. Sometimes it can cost thousands of pounds to replace damaged parts, which are rarely covered by insurance. As soon as you realise what you have done, stop filling the tank. It is tempting to try and dilute the petrol by putting diesel into the tank to try and correct your mistake, but this won’t help. You need to phone for roadside assistance. 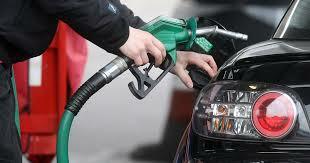 As you will most likely be on the forecourt of the petrol station, you will need to get back in your car. Once you have made the call and explained the situation, it is a good idea to go and explain to the petrol station staff what has happened. Most roadside assistance companies will drain the fuel from your tank and get you back on the road again within a few hours. 10 Famous Cars And Would You Insure Them? Is Insurance Affected By Gender?